verify-u offers a seamless online Know Your Customer process worldwide, all in compliance with the Anti-Money Laundering Act. 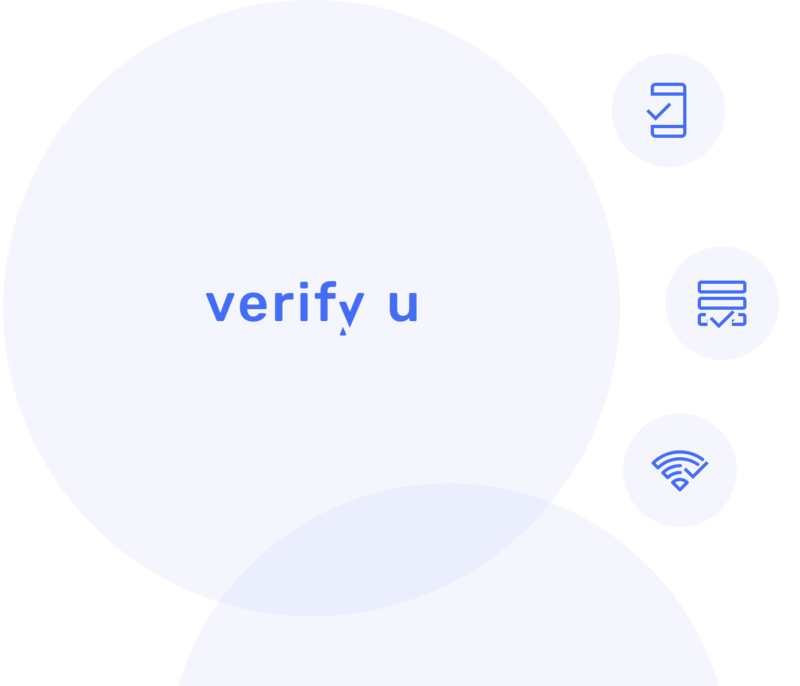 verify-u delivers the right verification service, improving your onboarding process in a faster and safer way. Our services are legally compliant, meeting and exceeding the standards for Know Your Customer (KYC) requirements. With verify-u, you are protected against online identity fraud. Your customers will enjoy the best identification services and your business a greater conversion and revenue. All your customers need is a device connected to a browser. In all cases, verify-u can also be merged with your own registration process for even better user experience. Would you like to receive a free consultation on how to improve your online KYC? Let us help you! Fast, easy Know Your Customer (KYC) compliance through video verification, electronic signature, and photo-based identity validation. verify-u services are certified secure by eIDAS and compliant with the Anti-Money Laundering (AML) laws in almost all countries.